The neighborhood and the location are not the only reasons to consider the Parc Botania Condominium as a potential future home. The project of this Singapore condo respects the latest standards and won’t be just comfortable and beautiful, but also luxurious. It marches on providing a comfortable and convenient lifestyle while being surrounded by exceptional finishes and high-quality fittings. As mentioned before, living here will allow you to be surrounded by luxury, as the condo will provide a gorgeous swimming pool at the discretion of its residents, a gym that will help you follow a healthy lifestyle, and even an elegant pavilion where you can enjoy private or business gatherings. The Thanggam LRT station is just a few minutes walk away from the condo. From this location, you are just 4 LRT stations and 6 bus stations from the Sengkang MRT station on the other side of the neighborhood. The distance is relatively short so these station stops won’t take long; you will reach the MRT station in just a few minutes. The Seletar Shopping Mall is the closest, requiring only 5 minutes of walk to reach it. Here, six levels of retail outlets will wait for you, together with coffee shops, restaurants, and a cinema. Other locations where you can enjoy shopping are not that far away, the Compass Point, Rivervale Mall, Rivervale Point, and Greenwich are among them. The Parc Botania is relatively close to the Punggol Reservoir, so you can always visit the Sengkang Riverside Park if you are looking for an escape out in nature or if you need a quiet and pleasant space where you can enjoy time with the people you love. If you go across the Anchorvale Street from the Sengkang Riverside Park you will find the Sengkang Sports Hall Recreation Center, just in case you want to change the surroundings offered by the condo’s private gym. The Sengkang General and Community Hospital is in the same neighborhood with Parc Botania, so you can be sure that there is a fully equipped medical center very close in case you and your loved ones need medical attention. There are four primary schools in the neighborhood, the Sengkang Green Primary School being the closest, located a few minutes away from the condo, followed by the Fernvale Primary School, just a little further away, and the Anchor Green Primary School and Nan Chiau Primary School, which are both a few blocks away. There is also a high school in the area, the Nan Chiau High School, making this area perfect for families with children of all ages. Total of 1,399 units Fully Sold! More than 1000 units sold on Launch Day!! Onze @ Tanjong Pagar is a condominium located in 11 Kee Seng Street in district D02. Why Invest/Buy Onze @ Tanjong Pagar? It always helps to stand out. your home at Onze @ Tanjong Pagar will forever be a fashion-forward expression. Optimised layouts for every need. Efficiently laid out to maximize your usable space, you’re free to use this spacious expanse as a personal canvas and paint in a stroke that’s all your own. Altitude and latitude that matches your attitude. Featuring all-embracing views, natural ventilation and ultra-high ceiling heights on top of sleek aesthetics that speak to your deepest senses, every aspect of your home has been designed to complement your unique take on everything. My dreams are my reality. With their stunning views and refined elegance, the bedrooms are designed to soothe and calm, entreating you to venture into the realm of deep and undisturbed rest. Off the beaten track, yet never far from the bustle. it is nestled within a serene cul-de-sac. That’s the best of both accessibility and privacy. within the same development and you’ve got yourself a winner in every way. A different taste of city life, and no apologies about it. Take your time to explore the winding heritage streets of your neighbourhood. From quaint boutiques and charming galleries to atmospheric cafes and welcoming pubs, there are always ample opportunities to meet old friends and make new ones. Think of it as relishing the sights, sounds and tastes of the world, right in your backyard. Retreat to sandy island beaches, with home just a reassuring corner away. Urbane city folks don’t just hang around town all the time. Whenever you want a quiet retreat from the urban sprawl, seafront treats and rustic delights are really just a hop and skip away. In actual fact, the whole world will always be truly at your feet – such are the envied privileges of those who call Onze @ Tanjong Pagar home. 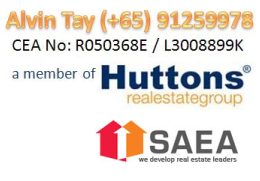 [/vc_column_text][vc_single_image image="10314" img_size="full" alignment="center"][vc_column_text]Heeton Holdings Limited is engaged in property development and property investment in Singapore and beyond. Established in 1976, it has been listed on the Singapore Exchange since 8 September 2003. ✅ Come & learn why the northern region in Singapore may be the next big thing. ✅ Uncover the hidden huge potential growth in Sembawang, and in particular the Kandis locale. "Information is accurate as at 16th Aug 2017 and pricings are indicative/“while stocks last” basis. 2km away from Sembawang MRT Station which manages the North South Line. A 1 block of 3-storey and 3 blocks of 7-storeys with a total of 130 units spaces. Advantages of theTranquillity of the Beachfront and the Verdant Greenery of Sembawang Park. It is near Sungei Simpang Kiri where many leisure water activities are located. Yishun Avenue 9, Yishun Avenue 6, Yishun Park, Khoo Teck Puat Hospital and Yishun Station. Future residents can have alternative to travel from Canberra MRT Station, which likewise runs the North-South line when it begins its operation by 2019. Kandis Residence is next to Sembawang Park and close to the main arterial road, Sembawang Road which allows its future residents to connect to Seletar Expressway (SLE), Central Expressway (CTE) and additionally the Tampines Expressway (TPE) which enables them to access to the remainder of Singapore. Information is accurate as at 13/8/2017 & pricings are indicative/“while stocks last” basis. Welcome to the art of living at its most refined, most personal. Situated at a blissful locale just off the main street, this 17-storey freehold residential development comprises of 56 choice abodes of elegantly spacious 1-bedroom apartments and penthouses set amidst inspired landscapes and waterscapes. City Suites is a personification of uber modern living - stylish, practical and bestowed with spatial freedom, Each home reflects an urban design that merges beauty and function with affluent features to please your senses. Smart Detailing In Design : Welcome to a home where every space conveys rigorous detailing and good spatial optimization. Carefully planned to meet your expectations of a comfortable dream home. provide you with an exceptional tranquil residence. Premium Refinement Enjoy the pleasure of well-equipped spaces where each home is furnished with stylish fittings, quality finishes and branded appliances conveying an undeniable statement of sophistication. Feel fab with an invigorating workout at the outdoor gym and walk-in garden or simply invite friends over for a sumptuous barbecue. Have a leisurely swim and let the rhythmic sound of water features provide the perfect backdrop to a chill afternoon. Enjoy the premium of having the city at your doorsteps. From its former days of sugar cane plantations to shops that are filled with sweet and savoury delights today, Balestier is an area that offers a taste of history in more ways than one. This street is a magnet to food lovers looking for everything from famous hawker fare to popular restaurants, theres more than something for everyone here. Embracing Balestier on the fringes, nearby parklands are steep in history and accolations. The newly developed Zhongshan park hackens back to historic tales from two centuries ago. The Singapore Botanic Gardens, a newly crowned world heritage site no less and MacRitchie Reservoir’s many scenic spots of nature on offer are excellent destinations for anyone who loves nature, fun and the great outdoors. It is also not far from several schools such as Hong Wen School, Balestier Hill Primary & Secondary School and Singapore Institute of Science. City Suites is a short drive to United Square and Velocity at Novena, City Suites is accessible via CTE and PIE. with unique access to real estate opportunities in Asia and USA. portfolio of quality residential, commercial and retail assets. will allow us to capitalize on future opportunities in this exciting market. stead to capitalize on our potential for growth while exploring new opportunities. Mon Jervois - Deferred Payment scheme available! !